Robin Hood-like pirate Baptiste takes only the ships of rich but wicked trader Narbonne. 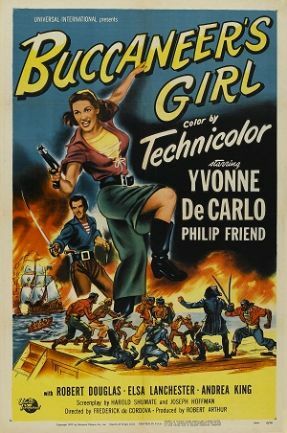 Fun loving Debbie, a passenger from his latest prize, stows away on the pirate ship and falls for the pirate; later, having become a New Orleans entertainer, she meets his alter ego, who's engaged to the governor's daughter. Sea battles and land rescues follow in lighthearted style.